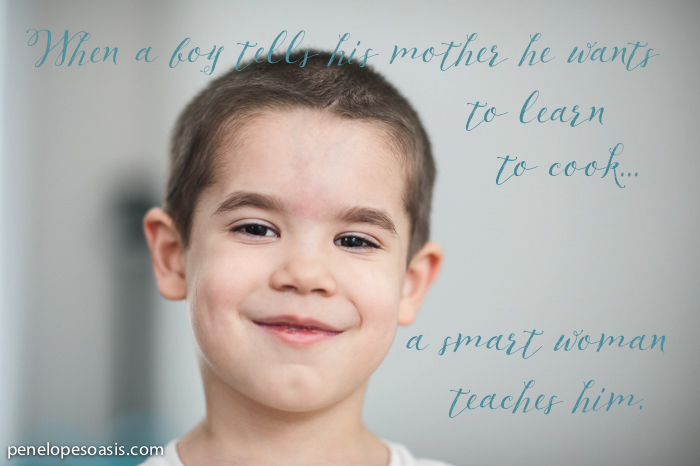 My older son is five, going on six, and he’s at a great age for learning a lot of new things. He’s so bright, and we have a lot of fun together (and honestly, I feel like I learn so much right along with him). 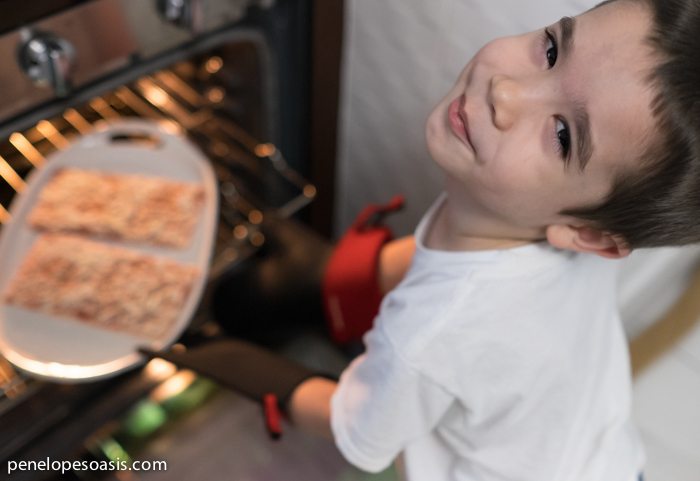 Recently, his interest has turned toward doing things around the house that make him a bit more independent. He cleans up after himself, wants to wash dishes, and has been asking to learn how to make some meals as well, and I love having him in the kitchen to do these things with me. I love to cook, and it’s something we can share. I grew up with Ellio’s Pizza. 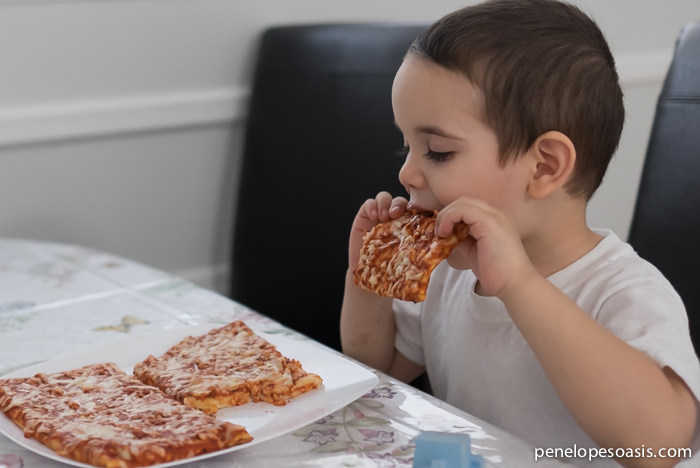 I remember my mom letting us choose whether we wanted it microwaved (fast and made for gooey, yummy cheese) or baked in the oven (crispy pizza with a bit of crunch in each bite…even yummier) and it was the biggest treat when we’d have it. 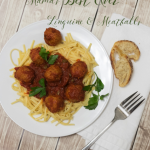 I want to make lots of memories with my boys, and since I wanted to start teaching them to make delicious but simple meals of their own now that they are interested in it, it was a great food to start with. 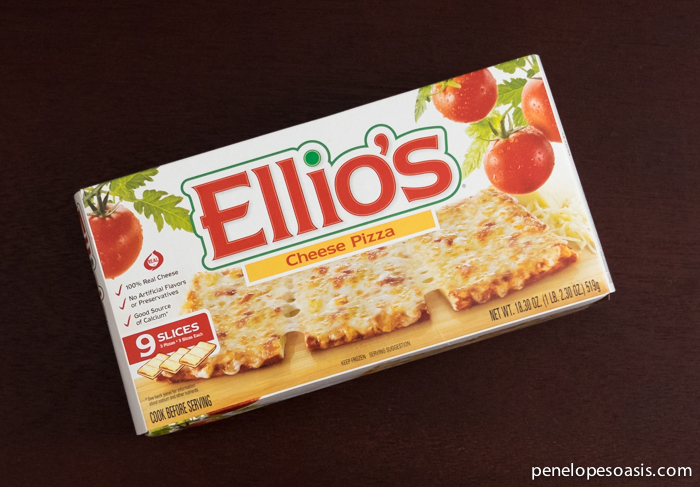 I only recently learned that Ellio’s frozen pizza launched in Long Island, NY in 1963…right where we live! 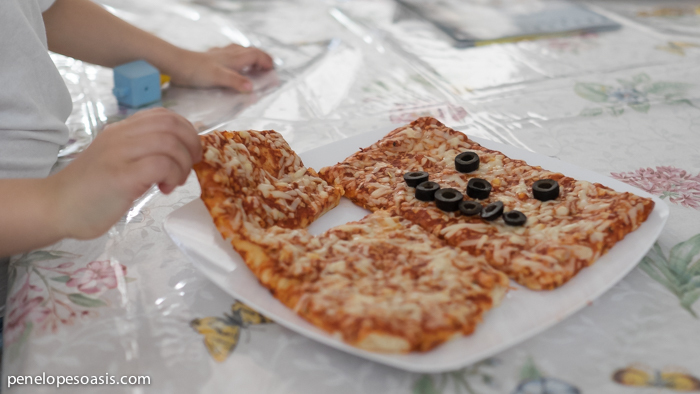 It was a quick meal solution when I was a kid in the 80s, and today it’s still made with real ingredients, nothing artificial, and 100% real cheese. To make it a little more fun for the kids, I bought cookie cutters in spring shapes like butterflies and fruit and leaves, but honestly, they were sooo happy to be baking with the oven (and I’m so proud of them) that I don’t even think the shapes were necessary to get them to eat it up, but I will still be adding these to my son’s Bento school lunches during the week to surprise him with fun shaped pizzas! 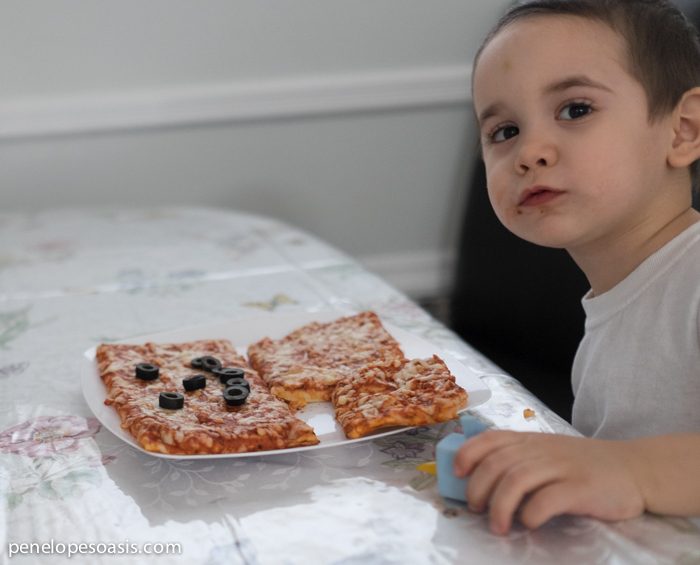 My younger son is only three, so he was allowed to make faces on the pizza with olives…no baking for him yet! 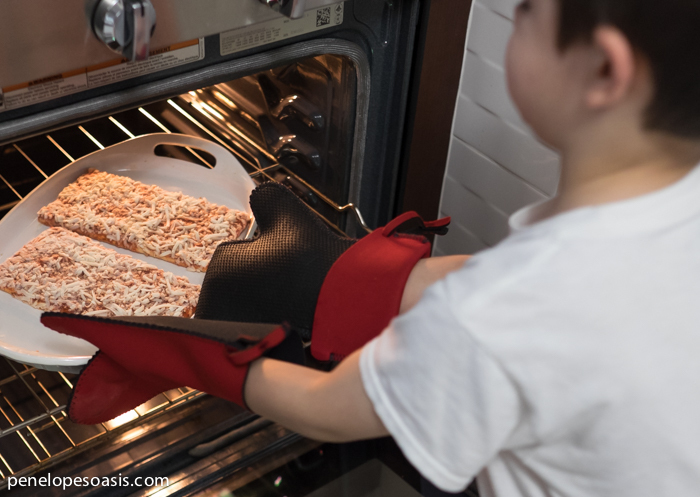 Check out Ellio’s on facebook, twitter and tumblr for more info, and if you have fun ways to teach your kids to cook or bake too, please share them! Did you love Ellio’s Products growing up too? 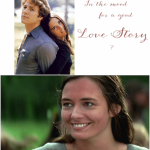 Weren’t they awesome? They still are. You can find them here: Ellio’s Pizza Store Locator. Yum, now I want some pizza. I love the cookie cutter idea. Ellio’s looks like really good pizza. I love those convenient sizes. I’ve never had Ellio’s pizza, but it looks really good! I’d give it a try. Yum! That pizza looks so good! It’s fun teaching them things we know from childhood! The square pizza! Didn’t we all grow up with that? My son asked me to let him “help cook” when we made spaghetti, and he has such ownership of the food at dinner. 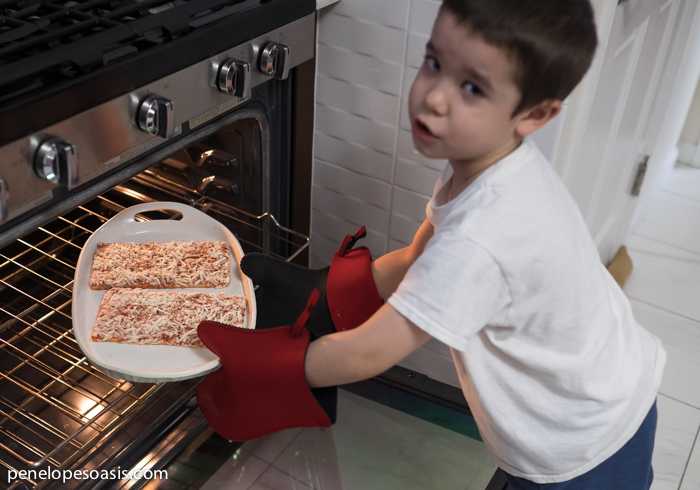 It’s great that you are teaching your son how to cook! Also, the cookie cutter idea for the pizza is genius! The cookie cutter shapes are too cool. We always keep a box of Ellios in the freezer for nights I don’t feel like cooking. You can’t go wrong with pizza! Cutting it into shapes is a great idea to make it even more fun. What a cute kiddo you have. I love making pizza with the family. I love that you are doing this. Baking with kids is so much fun. YUMeeeeeee I love pizza. I love how you guys got creative with the olives and cookie cutters. Your boys are growing up so fast! My daughter loves to help out in the kitchen too. My kiddos love to help out in the kitchen also. Sometimes I think it’d just be easier to do it all myself (the control freak in me), but it’s so important to teach them to be independent and capable. My son loves to cook. It is such an important skill all kids should learn. Oh my gosh, I loved Ellio’s pizza! Honestly, it is some of the best frozen pizza ever! I am all for getting little hands involved in helping in the kitchen! 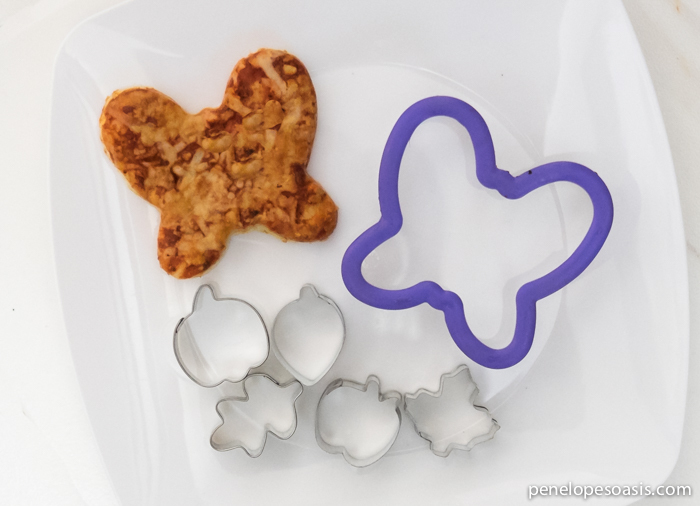 The cookie cutter is a great idea!